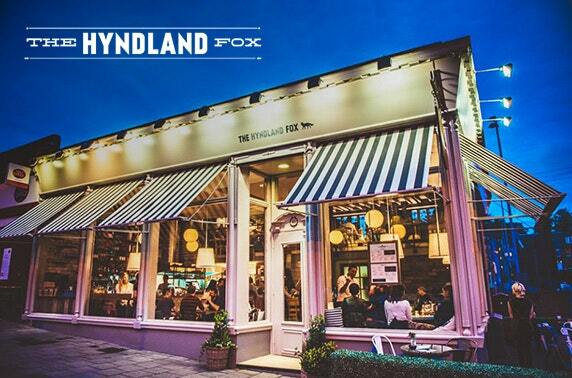 The Hyndland Fox are currently seeking experienced Bar and Floor Staff to join their team in Glasgow’s West End. Our site at Clarence Drive has been providing the people of Hyndland with artisan food and drink since 1982, now 32 years later we’re carrying on the tradition with eggs poached to bursting point, big bowl salads, sharing platters and an extensive drinks list. As an important member of serving staff, you will spend the majority of your time front of house ensuring that customers receive the best possible experience. You will have a professional yet cheerful and friendly approach to both customers and staff. Candidates should be motivated and passionate about delivering the best customer experience and be able to work well under pressure. You will be required to become involved in all aspects of the day to day service, setting up, serving, liaising with other departments within the venue and clearing down after your shift. High standards are very important, therefore you will be required to ensure that these standards are maintained. You will also be involved in promoting the venue and its products to ensure that the customer spend is maximized. You will be passionate about producing top quality beverages and providing excellent service in a busy bar environment. You will be given a full induction to this role and continuous development, with excellent career path opportunities available to those who show commitment and flair. Barista experience is beneficial for this role. This is a part-time role and successful candidates will be flexible in working anything from 7am till midnight both during the week and at weekends.